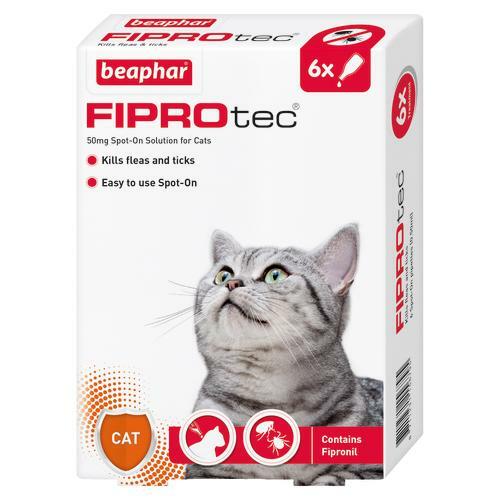 Beaphar FIPROtec Spot-On Solution for Cats kills fleas and ticks on your cat at the time of treatment, and continues to kill fleas for up to 5 weeks. It is important to establish a regular flea control routine for cats and the household. Cats who spend a lot of time outside are especially at risk from fleas and ticks. Available in 1, 4 and 6 pipette pack sizes.